Search for your new Monmouth County Home Today. Looking For Monmouth County Adult Community Homes ? Monmouth County is home to a large, diverse selection of homes. Accordingly, if you are looking to buy a Monmouth County home you can find anything from starter homes to multi-million dollar estates. In addition, you can buy a Monmouth County condo or townhouses. Also there are 41 Active Adult communities in Monmouth County. Living is easier when you have close proximity to transportation, cultural aspects, entertainment, dining, shopping. Also professional sports venues, recreation…. and of course, the Jersey Shore. For this purpose, this website offers information on a Monmouth County home and a Monmouth County condo for sale. You can also find information on how much homes recently sold for in your neighborhood. So – if you’re looking to buy or sell a Monmouth County home, or a Monmouth County condo, browse our site. You’ll find that it’s full of valuable and interesting information. So, if you are serious about buying or selling a Monmouth County home or a Monmouth County condo? Don’t hesitate – call us. We can help. 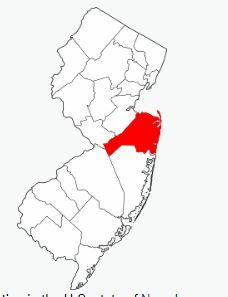 Monmouth County is a county located in Central New Jersey. There are miles of Atlantic Ocean coastline, in addition to being the northernmost county along the Jersey Shore. And, according to the 2017 Census estimate, the population of Monmouth County was 626,351 people. In fact, Monmouth County is New Jersey’s fifth-most populous county. The population during the 2010 Census, was enumerated at 630,380. The county seat is Freehold Borough. 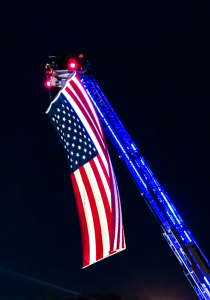 Hence, major divisions of the county administration are located in Freehold Boro and Freehold Township. Middletown had 66,522 residents at the time of the 2010 Census. As a result, Middletown Township is the town with the most residents. Similarly, the largest town in terms of area is Howell Township. Specifically, Howell covers 61.21 square miles. Freehold Racewaycounties in the United States. Not surprisingly this placed it among the top 1.2% of counties by wealth. Monmouth County is comprised of 51 towns, and in each town there are single family homes. All in all there are over 260,000 homes in Monmouth County. Many of the Monmouth County homes for sale are older homes, which are well over 100 years old. In fact, there is still new construction ongoing. The Monmouth County homes for sale can be a small starter home or they can be large sprawling estates. They can be farmland or adjacent to water. You can also find a Monmouth County condo. However, not every town has condos. There are over 200 Monmouth County condo associations. Each can have as little as two units, others have over 1000 units. Some of the Monmouth County condo are also in high rise buildings. Most of these high rises offer a water view of the Atlantic Ocean or one of the larger rivers in the county. You can find a Monmouth County home or a Monmouth County condo for under $100,000. However, you can also spend millions of dollars. Nevertheless, most people are somewhere between those two extremes. Each town includes a short note about the schools available, both kindergarten through eighth grade and the available high school districts. In addition you should look at the exciting options for high school at the Monmouth County Vocational School District. Specialized courses are available in fields such as computer science, and biotechnology. Also courses in the medical and science fields are available, among others. There are also many private schools in Monmouth County. Choices include Saint Rose Belmar, Saint John Vianney in Holmdel, Christian Brothers Academy in Lincroft, Red Bank Catholic in (yup – you guessed it) Red Bank among others. Higher education ( college) is also available in Monmouth County, such as Monmouth University and Brookdale Community College. Many other universities have an off premise location in Monmouth County, such as Rutgers, Kean University among others. My experience with your agency has been one of professionalism and genuine concern for my satisfaction in all things home purchasing. Thank you for your attention to detail and equally professional contracted personnel. I look forward to recommending your agency to all who I learn are seeking to buy or sell their property. Recently sold my condo and bought a new house in Monmouth county. What an amazing experience!!! This team are the experts in the area; no doubt in my mind about that! They knew EVERYTHING I asked about in several counties- schools, parks, transit... you name it.... they had the answer for me right away. No need to ever look again! Next time I move I'm going right back to Bunny and Art! Call us at 732-598-7700 to see the Monmouth County homes for sale. You can also see a Monmouth County condo or a Monmouth County home. To see a Monmouth County Home for sale, contact us.